i’m really sorry for the lack of posts and updates. I’ve been very busy with work and of course Legion. 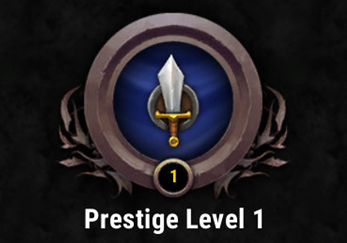 I’ve already prestiged and almost hit honor level 50 again to get the visions of Madness pvp Skin. In the near future i plan to provide more content including a shadow priest pve and pvp guide. Once the pvp season starts i will try many different arena comps and share my experience. I will provide Best in Slot charts and tips how to improve your Shadow DPS. The blog will receive a visual update to improve readability. – The Gameplay feels fluid and fun. – Visuals are great. Voidform, Voidbolt, Surrender to Madness etc. look very cool. – Devs listening to some of the feedback like Shadowy Insight, Void Ray or Void bolt refreshing dots. – Utility spells now need mana again. A good thing, right? Yes, but the mana pool is very small and spells cost a lot. Shadowmend heals for little and you are out of mana after 4 Shadowmends. Mass dispel costs about 70% of your total mana. – Removal of the Shadowform ability is a visual and gameplay issue. No compensation for the armor loss and a great disparity between voidform and non voidform. Shadowform is now passive, without a buff and looks like glyphed shadowform. It can’t be deactivated. – PvP in general is very frustrating for many reasons. We are too squishy, we have no mobility and the pvp talents are very imbalanced. There is one talent in each tier that needs to be picked. We get destroyed by any melee spec. – Voidform / insanity mechanic is very bad for high latency players. Insanity drains regardless of your latency. Feel free to ask me any questions about Shadow beta or legion in general. Do you have any specific wishes on my next video? item will be the Shadow Priest artifact in World of Warcraft: Legion, alongside the Off-hand item item. This terrifying dagger was made from the claw of an Old God eons ago, and dark priests used it for ritual sacrifices during the height of the Black Empire. After the fall of the Old Gods, Xal’atath was hidden away by cults. It has surfaced from time to time over the course of history, inevitably associated with some horrific ritual or disaster. The blade has a will of its own: it uses powerful Void energies and mind magics to warp everything around it for some nefarious purpose. It whispers to you while doing various activities like dungeons, raids, questing or just walking around. Check out the WoWhead Artifact calculator to view it in 3d and explore some other color variations and artifact perks. Spriest now has mana for utility spells. Dispel Magic Dispels Magic on the enemy target, removing 1 beneficial Magic effects. Can be cast in Shadowform. 2.6% of Base Mana / 2.6% of Base Mana / All Shadow Orbs. 30 yd range. Instant. 4% of Base Mana. 30 yd range. Instant. Mass Dispel Dispels magic in a 15 yard radius, removing all harmful Magic from 10 friendly targets and 1 beneficial Magic effects from 10 enemy targets. Potent enough to remove Magic that is normally undispellable. 13% of Base Mana / 13% of Base Mana / All Shadow Orbs 8% of Base Mana. 30 yd range. 1.5 sec cast. 15 sec cooldown. Mind Spike Assail the target with shadowy spikes, dealing [ 45% of Spell Power ] Shadowfrost damage and leaving a spike embedded in their mind for until cancelled. Up to 10 spikes may be embedded this way. Mind Blast will detonate these spikes, each dealing an additional 200% of their original damage. Generates 5 Insanity. Shadow Priest – Level 100 Talent. 40 yd range. 1.5 sec cast. Mindbender Summons a Mindbender to attack the target for 15 12 sec. You regenerate 0.75% of maximum mana each time the Mindbender attacks. Can be cast in Shadowform. Priest – Level 60 Talent. 40 yd range. Instant. 60 sec cooldown. Shadow Covenant Draws on the power of shadow to heal up to 5 injured allies within 30 yds of the target for [ 500% of Spell Power ], but leaves a shell on them that absorbs the next [ 225% [ 250% of Spell Power ] healing they receive within 6 sec. Can be cast in Spirit of Redemption. Can’t be cast in Shadowform. Discipline Priest – Level 100 Talent. 5% of Base Mana. 40 yd range. 2.5 sec cast. Fleeting Embrace Reduces the cooldown of Vampiric Embrace by 120 sec, but only affects up to 3 allies Vampiric Embrace now affects up to 3 allies, and its cooldown is reduced by 75%. Shadow Priest – Tier 2 PvP Talent. Pure Shadow Dispersion reduces damage taken by an additional 30% 35%, and causes Voidform to not drain Insanity for an additional 6 sec after Dispersion ends. Shadow Priest – Tier 2 PvP Talent. It seems Blizzard is not looking at the whole picture – Quantity over quality. Yes, shadow has a great number of tools. But.. Lets take a look at each individual utility spell. Psychic Scream has a huge position requirement, without spectral guise/feathers/slow removal it will be much harder to cc a healer without a previous cc and it will put you out of position many times. The removal of horror makes this problem worse // Where as Mind Bomb has a cast time and low duration AND it replaces psychic scream AND shares the stun DR. It has too many downsides. Mindcontrol has a cast time AND is channeled. This is very unique (and bad), DRs with Disorients (Psychic Scream), breaks on damage on the priest -> limited use in competetive pvp. On top of that it still has the old issues like disconnecting if you move right before the end of the cast etc. Using Power Word Shield or Vampiric Embrace as a support utility puts it on cd if you need it for yourself. Many of the utility spells have downsides or are worse than comparable spells of other classes. The healing power of shadowpriests in legion is very strong and you might want to adjust that with number tuning. But any nerf to their healing utility also nerfs their suvivability which is a another big subject. We dont have a spammable fire and forget cc. We lost Leap of faith one of the “Skill” defining abilities of a higher rated Shadow Priest and we have huge issues against melees. Removing Psychic Horror was a mistake. Remove the utility component of Fleeting Embrace making it pure self heal. Rework Last Word, the game does not need more silences or interrupts. Especially not auto applied ones. It can’t compete with Psyfiend/Void Shift to begin with. Change Void shift; can now only be used if you are lower hp than your team mate. Return Leap of Faith baseline and add a pvp talent that resembles the reverse grip glyph and reduces the cd.For me personally the return of the mana bar is a lazy change even if it is good/better for the spec. The insanity cost added depth and a risk/reward/skill component. Shadow Priest – Void Bolt now refreshes, rather than extends, Vampiric Touch and Shadow Word: Pain. Vampiric Touch and Shadow Word: Pain now generate Insanity on cast, and their durations have been adjusted. Dominate Mind renamed back to Mind Control, and usable on players. Psychic Horror removed. Hey Shadow Priests. Let’s talk a bit about utility. Shadow is in a very odd situation when it comes to utility, especially in PvP. The amount of potential utility they offer is astronomical. It’s a staggeringly long list: Body and Soul, Dispel Magic, Dominate Mind, Mass Dispel, Mind Bomb, Power Word: Shield, Psychic Horror, Psychic Scream, Purify Disease, Shackle Undead, Shadow Mend, Silence, Vampiric Embrace… probably something else I’ve forgotten offhand. But at the same time, despite the crazy number of utility spells at their fingertips, it’s actually quite hard for them to actually use many of them. Since their rotation is based on continuously generating Insanity as fast as possible, any time lost to utility is punishing, especially in Voidform, where you’re actually losing Insanity while casting other things. And then on top of that, many of the spells cost huge chunks of Insanity as well. We’re not happy with that situation, and are considering other potential options. They could probably stand to lose at least a couple spells off that list, but we’re also considering bringing back Mana as an additional resource that would just be used for limiting your usage of the many utility spells, with costs proportional to their impact. The above list also forgot to include [*] the 3rd and 6th rows of PvP talents. As an update on this, we’ve decided to buff Mind Control baseline (effectively re-adding it to PvP on top of Mind Bomb / Psychic Voice), and remove Psychic Horror instead. That still leaves them with way more utility than anyone else, of course. Keep the feedback on this coming, thanks! * EDIT: I had originally said ‘Fade w/ Artifact’ here as well. There was, at one point in development, an artifact trait that added damage reduction to Fade, similar to the old glyph, but it has since been changed. Sorry for the mistake. I’ll post my view right after this blog summary of changes. Mind Control Name changed from “Dominate Mind” to “Mind Control”. Controls a mind up to level 41 for 30 sec. Does not work versus Mechanical beings or players. Shares diminishing returns with other disorienting effects. Can be cast in Shadowform. 0.5% of Base Mana. 30 yd range. 30 sec cast (Channeled). Auspicious Spirits Your Shadowy Apparitions now deal 100% increased damage and generate 6 4 Insanity. Shadow Priest – Level 75 Talent. Body and Soul Discipline, Holy: Power Word: Shield and Leap of Faith also increase increase your target’s movement speed by 40% for 3 sec. Shadow: Power Word: Shield increases your target’s movement speed by 40% for 3 sec. Priest – Level 30 Talent. Dominant Mind You may also control your own character while Dominate Mind is active, and Dominate Mind now lasts 60 sec. Priest – Level 45 Talent. Mind Control is active, and Mind control now lasts 60 sec, but it may not be used against players. Priest – Level 45 Talent. Fortress of the Mind Mind Flay, Mind Blast, and Mind Spike and Mind Blast deal 10% more damage and generate 20% more Insanity. Shadow Priest – Level 15 Talent. Legacy of the Void Casting Mind Blast increases the damage dealt by your next Shadow Word by 50%, stacking up to 2 times Voidform may be activated anytime your Insanity level is 60 or higher. Shadow Priest – Level 100 Talent. Mind Spike Blasts the target for [ 1 + 50% Assail the target with shadowy spikes, dealing [ 45% of Spell Power ] Shadowfrost damage andincreases the damage dealt by your next Mind Blast by 20%, stacking up to 5 times leaving a spike embedded in their mind for until cancelled. Up to 10 spikes may be embedded this way. Mind Blast will detonate these spikes, each dealing an additional 200% of their original damage. Generates 5 Insanity. Shadow Priest – Level 100 Talent. 40 yd range. 1.5 sec cast. Shadow Word: Void Blasts the target’s mind for [ 1 + 220% of Spell Power ] Shadow damage. Generates 20 30 Insanity. Shadow Priest – Level 15 Talent. 40 yd range. 1.5 sec cast. Void Ray Each time your Mind Flay deals damage, you gain 10% increased Mind Flay damage for 4 sec, stacking up to 6 5 times. Shadow Priest – Level 60 Talent. Shadow Word: Pain Discipline, Holy: A word of darkness that causes [ 1 + 62.5% 40% of Spell Power ] Shadow damage instantly, and an additional [ 6 + 62.5% [ 7 + 40% of Spell Power ] Shadow damage over 18 sec 14 sec. Shadow: A word of darkness that causes [ 1 + 40% of Spell Power ] Shadow damage instantly, and an additional [ 7 + 40% of Spell Power ] Shadow damage over 14 sec. Generates 4 Insanity. Can be cast in Shadowform. Priest – Discipline & Shadow Spec. 2% of Base Mana. 40 yd range. Instant. Dispersion Disperse into pure Shadow energy for 6 sec, reducing all damage you take by 60%, but you are unable to attack or cast spells. Castable while stunned, feared, or silenced. Voidform does not drain Insanity while dispersed. Priest – Shadow Spec. Instant. 2 min cooldown. Mind Flay Assaults the target’s mind with Shadow energy, causing [ 4 + 30% 50% of Spell Power ] Shadow damage over 3 sec and slowing their movement speed by 50%. Generates 8 Insanity over the duration. Can be cast in Shadowform. Priest – Shadow Spec. 40 yd range. 3 sec cast (Channeled). Shadowy Apparitions When your Shadow Word: Pain damage over time critically strikes, you also create a shadowy version of yourself that floats towards the target and deals [ 45% [ 30% of Spell Power ] Shadow damage. Priest – Shadow Spec. Silence Silences the target, preventing them from casting spells for 5 sec. Against non-players, also interrupts spellcasting and prevents any spell in that school from being cast for 3 sec. Can be cast in Shadowform. Priest – Shadow Spec. All Shadow Orbs. 30 yd range. Instant. 5 sec cooldown. Vampiric Touch A touch of darkness that causes [ 8 [ 6 + 77.7% of Spell Power ] Shadow damage over 24 18 sec, and heals the Priest for 50% of damage dealt. If Vampiric Touch is dispelled, the dispeller flees in Horror for 3 sec. Generates 4 Insanity. Priest – Shadow Spec. 40 yd range. 1.5 sec cast. Void Bolt Sends a bolt of pure void energy at the enemy, causing [ 1 + 333.3% of Spell Power ] Shadow damage and extending the duration of refreshing Shadow Word: Pain and Vampiric Touch by 3 sec. Only useable in to their original duration. Requires Voidform. Generates 16 Insanity. Priest – Shadow Spec. 40 yd range. Instant. 4.5 sec cooldown. Voidform: Activate Voidform, increasing damage by 30% and granting an additional 1% Haste every 1 sec. Insanity will drain increasingly fast until it reaches 0 and Voidform ends. When Voidform ends, you gain Lingering Insanity, allowing the Haste bonus to persist for 60 sec or until you next enter Voidform. Requires [ 1% of C ] Insanity to activate. Shadow: Activate Voidform, increasing damage by 30%, reducing the cooldown on Mind Blast by 3 sec, and granting an additional 1% Haste every 1 sec. Insanity will drain increasingly fast until it reaches 0 and Voidform ends. When Voidform ends, you gain Lingering Insanity, allowing the Haste bonus to persist for 60 sec or until you next enter Voidform. Requires 100 [ 1% of C Insanity to activate. Priest – Shadow Spec. Instant.All Shadow Orbs. Instant.